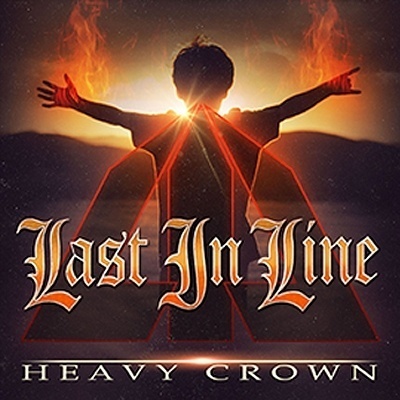 Def Leppard guitarist Vivian Campbell and his side band Last In Line release the Heavy Crown album next month and an 8th online review is available. Ramzine have reviewed the album. "Debut single ‘Devil In Me’ opens proceedings, defining a statement of intent before they put their collective foot on the peddle for ‘Martytr’ featuring a tonally pleasing guitar solo kick-started into action by some welcome old school bass and drums from Jimmy Bain and Vinnie Appice respectively. That sound is carried throughout, courtesy of a top notch production job from Jeff Pilson (Foreigner, Dokken)." "Already Dead’ is probably the closest to that Rainbow/Dio wallop and attack die-hard fans want, while ‘Curse The Day’ dances neatly between broken chorded AOR ballad and bludgeoning rock only for them to return to heavy blues metal with ‘Orange Glow’ as Rory between Gallagher styled riffs affix themselves to a mid-paced carousing sound around vocals that sigh, groan, then reach notes. The overall result likely to cause females hips to shake on the dance floor."